A hyperbola in the - plane may be drawn by making use of a parametric representation involving the secant and tangent. 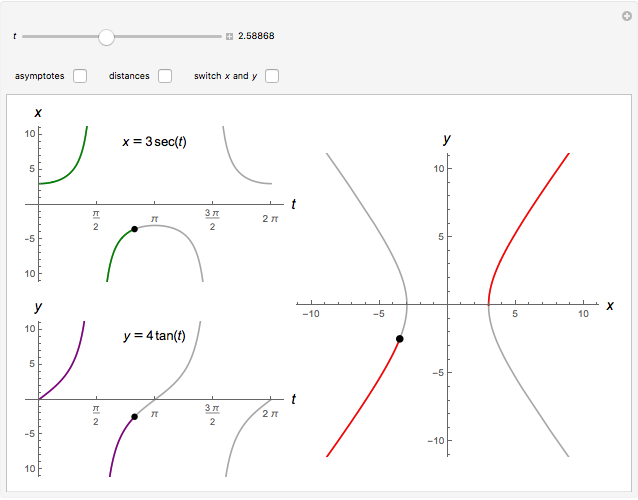 The example in this Demonstration plots the equations , (or, switching and , , ). 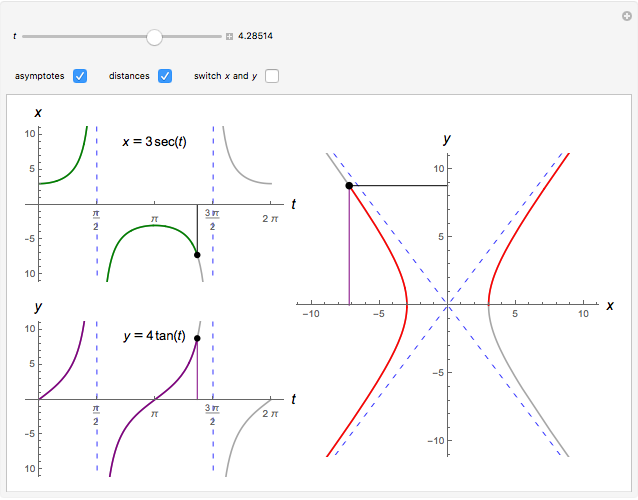 Graphs of , and the hyperbola are shown. Abby Brown "Parametric Equations for a Hyperbola"